Sculpt is scarcely a social science fiction movie. It depicts an international market organized around new shapes and experiences, all the more sought-after as they are almost unattainable. Thought recording and fascination for the inner space are no longer fantasies but truly the object of a global market, which thrives on a quest for these moments of pure intensity, beauty experiences, thought, and obsessions. The movie recounts how this ecosystem, equipped with new « traders », middlemen, buyers, « collectors » and « producers », is structured, and how this elite group sets up experiences whose unique object is a search for the masterpiece of this nature. No one suspects what is woven behind those « objects » as its counterpoint gets organized in parallel: a black market of impure experiences; a violent and dystopian world. The movie follows the thoughts of a man whom we don’t know much about. He seems to be constantly developing the very concept of what experiencing beauty, thought, or obsession can be, despite the risks that the subjects are exposed to in the long term. Convinced that he can enact the rules of this new world, he will soon discover that the inner space limits and the market representing them are now just as one. The Los Angeles County Museum of Art (LACMA) announces the release and premiere of Loris Gréaud: Sculpt on August 16, 2016 in the Bing Theater, the sole authorized and official venue for this unique presentation. Sculpt is a social science fiction movie that depicts unprecedented shapes and experiences, along with obsessions and fantasies. The film follows the thoughts of a man about whom we know very little, who seems to be constantly developing the concept of what experiencing beauty, thought, or obsession can be, despite the risks to which the subjects are exposed in the long term. Sculpt, produced for LACMA, is Loris Gréaud’s first major exhibition project to take place on the west coast of the United States, as well as being his first feature-length film. It offers a unique experience to each viewer who sees it as an immersive environment. “Gréaud is rethinking cinema in form, content, and its relationship to audience,” said Michael Govan, LACMA CEO and Wallis Annenberg Director. For this presentation, LACMA’s Bing Theater will be reconfigured for only one audience member at a time. Each screening will therefore turn into and unique one-person experience, with the movie seemingly watching its visitor as it is watched. Screenings take place thanks to the generous loan of the film from Voodoo Queen Priestess Miriam Chamani who has permitted its distribution solely at LACMA. In this chrysalid state, the film is on loan for an unspecified time. Then, a series of bootlegs and stolen clips from the movie will occasionally reappear via a black market, during illegal screenings throughout the world, as far as the Dark Net abyss. Sculpt will thus reach its main goal: to become one of the obsessions whose story it endeavored to describe. Sculpt will be screened daily from August 16, 2016. All screenings are free and tickets will be released in the morning on the day of each performance on site. Monday, Tuesday, and Thursday: 11:30 am, 1 pm, 2:30 pm, and 4 pm. Friday: 11:30 am, 1 pm, 2:30 pm, 4 pm, and 5:30 pm. Saturday and Sunday: 11 am, 12:30 pm, 2 pm, 3:30 pm, 5 pm, and 6:30 pm. Due to the nature of the project and the uncertainty of the longevity of the loan, the film will be screened for an indeterminate period. Starring: Willem Dafoe, Charlotte Rampling, Michael Lonsdale, The Residents, Pascal Greggory, Abel Ferrara, Claude Parent, Voodoo Queen Priestess Miriam Chamani, Betty Catroux. Sculpt at LACMA is accompanied by the catalogue Sculpt, Vol. 1: A potential continuity editing, which is an integral part of the project. 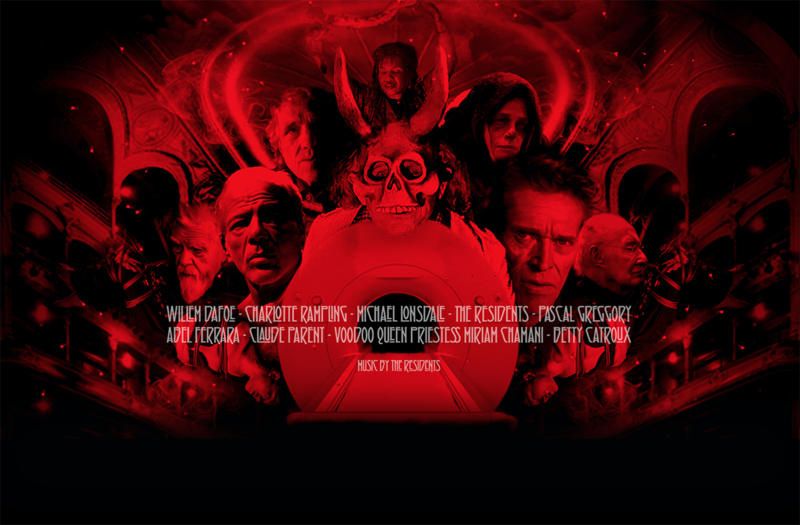 A limited edition of the movie’s original soundtrack by The Residents has also been produced. Only 100 signed and numbered copies have been made available. Loris Gréaud was born in 1979 in Eaubonne, France. Since the early 2000s, he has developed a singular trajectory in the international contemporary art scene whereby he constructs unique environments to house disruptive elements, often with an ambiguous narrative that blurs the boundaries between fiction and reality. Rumors, poetry, viruses, architecture and demolition, academicism and self-negation are therefore regularly summoned in his work as it strives to oppose the separation between physical and mental spaces. 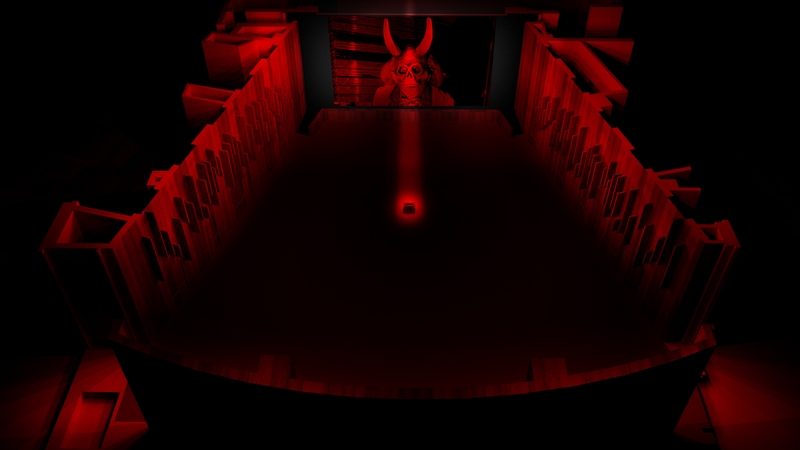 Loris Gréaud’s projects have resulted in significant solo exhibitions. He is the first artist to be granted full use of the Palais de Tokyo in Paris for his project Cellar Door (2008–15), which he further developed at the Institute of Contemporary Art (ICA) in London, the Vienna Kunsthalle, the Kunst Halle Sankt Gallen, and La Conservera Museum in Murcia. Gréaud is also the only artist who has exhibited jointly in the Musée du Louvre and in the National Museum for Modern Art at the Pompidou Center in Paris with the internationally acclaimed double exhibition project [I] (2013). In 2015, he took over the whole gallery space of the Dallas Contemporary with the ambitious and radical project The Unplayed Notes Museum. Gréaud has also been included in several group shows including: A Certain State of the World?, Garage Center for Contemporary Culture in Moscow (2009); The Wizard of Oz, San Francisco CCA Wattis Institute of Contemporary Arts (2009); Altermodern, London Tate Triennial (2010); ILLUMInations, 54th Venice Biennale (2011); The World Belongs to You, Palazzo Grassi—François Pinault Foundation, Venice (2011); X_Sound: John Cage, Nam June Paik and After, Seoul Nam June Paik Art Center (2012); Prima Materia, La Punta della Dogana—François Pinault Foundation, Venice (2013); and Art or Sound, Prada Foundation, Venice (2014).